Data company TIBCO has made several new announcements at TIBCO NOW, its edge conference that is currently underway in Las Vegas. The company has revealed enhancements and changes to current products, as well as announcing new projects. New products to the TCIC family include TIBCO Cloud Events, TIBCO Cloud Nimbus, TIBCO Cloud Starters, and TIBCO Cloud AuditSafe, which is in beta. Current products that have been enhanced include TIBCO Cloud Integration with TIBCO Scribe functionality, TIBCO Cloud Mashery and TIBCO Mashery Local, TIBCO Cloud Live Apps, and TIBCO Cloud Spotfire X. The company announced the A(X) Experience for TIBCO Spotfire, which will be released this fall. A(X) Experience is an AI-driven analytics solution that combines data exploration with natural language processing, machine learning recommendations, and model-based authoring. According to TIBCO, the solution will enable users to humanize their data and make decisions faster. TIBCO’s goal when designing this solution was to be able to use AI to add to users’ knowledge, magnify their skills, and simplify decision-making. A(X) complements Spotfire by surfacing machine learning guidance and recommendations as users explore, according to the company. When a user types a request, Spotfire will create visualizations and make suggestions based on the results. 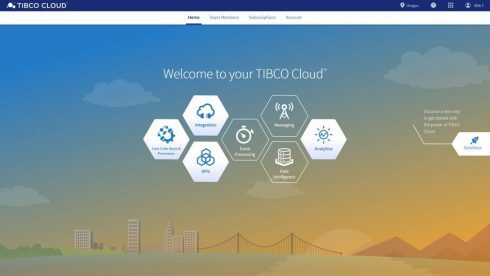 The company also announced that its cloud marketplace for TIBCO Data Science will soon be available exclusively on the AWS Marketplace. TIBCO Data Science enables data scientists to securely collaborate using Big Data and machine learning capabilities. According to the company, TIBCO Data Science removes the need for complex code, enabling citizen data scientists to create code-free workflows for data transformation and machine learning. It also offers integration with Jupyter Notebooks, which allows users to share documents containing code. By enabling users to share data, set project milestones, and manage project resources, the solution facilitates collaboration among data scientists, citizen data scientists, engineers, and business stakeholders. By executing data preparation and machine learning computations directly using AWS resources, TIBCO is able to do away with the need to move data. TIBCO has announced the creation of TIBCO LABS, which will allow customers and partners to participate in the development of solutions for challenging problems. It will also showcase new capabilities and provide an early look at emerging technologies such as blockchain, AI, and machine learning. Ideas for the projects come from many different sources, such as TIBCO.next. Initial projects include Project Cloud Conversations, Project Dovetail, TIBCO Cloud My Partner App, and TIBCO Cloud Risk Investigation App. These first few projects can be further explored here.